If you want to mix and match but not sure how to do it, start with a denim base and build around it. Pick something totally different than a piece you would regularly wear with your jeans. 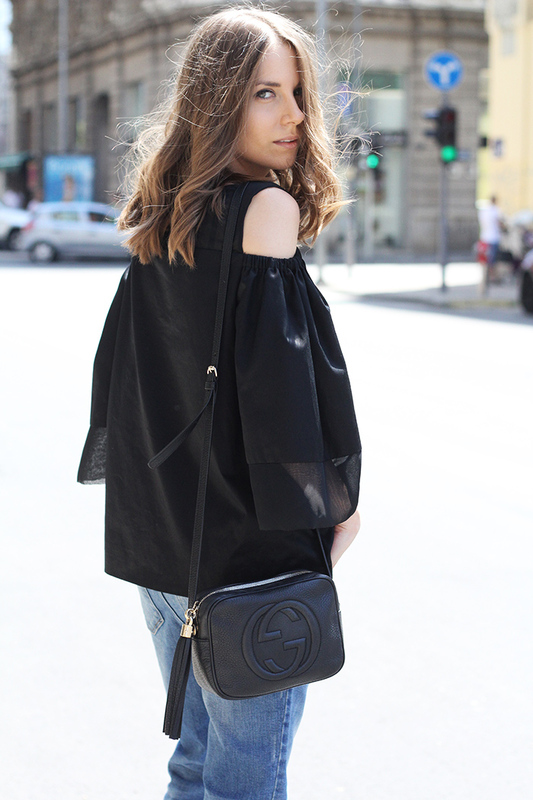 Throw on a black shoulder top, mini bag, a pair of light wash distressed jeans and you're set! 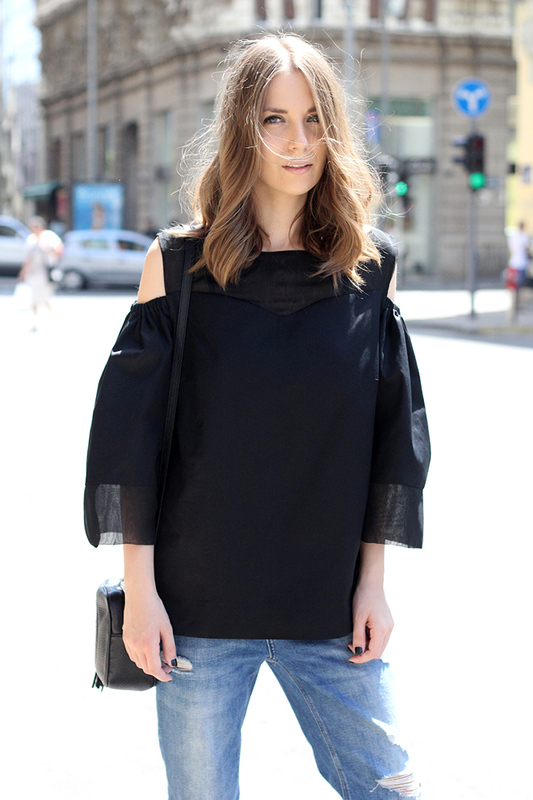 Should I mention how gorgeous is this black top with silky details? Totally in love!